Get this amazing book today and receive the 16 Guidelines Cards as gift. The 16 Guidelines are a set of practical and straightforward tools for developing happiness and meaning in everyday life. Inspired by a 7th-century text from the Tibetan king Songtsen Gampo, they are being used by people of all ages and cultures worldwide to transform problems and create the causes of peace and well-being. 16 Guidelines: The Basics is the essential user manual for the 16 Guidelines. 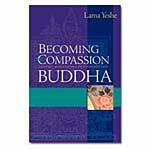 It's an attractive, illustrated workbook with quotes, stories, challenges and guided reflections for each guideline, together with an overview of each of the four wisdom themes: how we think (the power of the mind); how we act (cause and effect); how we relate to others (interdependence) and how we find meaning (impermanence). Each of the guidelines is associated with a role model whose life story exemplifies that quality. The book is spiral-bound and lies open for easy hands-free use. Available in Spanish. 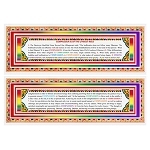 Note: A set of 16 Guidelines cards makes an excellent complement to The Basics. The cards are a practical tool with many applications, from reframing difficult situations to setting your motivation at the beginning of the day. The 16 Guidelines are the first initiative of Universal Education for Compassion and Wisdom, a learning system which aims is to make the world a better place by helping people to develop their natural compassion and wisdom. Spiral binding, 140 page, 2009 edition.